Much has been written recently in legal publications of the spiralling cost of civil litigation – for example, reference “Skin in the Game” published in the 2013 issue of Canadian Lawyer InHouse by Jennifer Brown. This article discusses various litigation funding issues including the reasons why the traditional fee based litigation at national law firms is so expensive, the role of the boutique litigation firm in providing access to justice, and creative joint client-lawyer risk retainers in taking on recovery litigation. Finding the right lawyer or law firm for your case is important as no one wants to ‘throw good money after bad.’ Fraud victims should consider the expertise and experience of the lawyers they are considering to handle their fraud recovery case, together with the rates the lawyers charge and the types of retainers to which the lawyers are willing to agree. In this article we provide information you may wish to consider when deciding which lawyer or law firm to choose and what kind of retainer is most appropriate for your fraud case. Paying expensive lawyer fees after suffering a fraud loss is often adding insult to injury if no recovery is made. So before entering potentially expensive retainer agreements with lawyers, fraud victims should first consider their objectives. Recovery should be the first and most important objective. Obviously the fees paid for a recovery should not exceed the recovery itself unless the objectives of retribution and/or discovery are very important to the fraud victim and they have the available funds to pay for this. It is often difficult to estimate what legal fees will be incurred when litigating against a fraudster, as their response could be surrender, fight or flight. If the fraudster chooses to fight, the road to trial to obtain a judgment often involves legal fees well into six figures. If the fraudster chooses flight, obtaining a default judgment may not be that expensive, but recovery on the judgment may cost more than the quantum of the judgment. If they choose to surrender, this often means some sort of settlement process and the legal fees should not be a barrier to recovery. Retribution and discovery objectives are often as important to fraud victims as recovery. Retribution and discovery often assist the fraud victim to psychologically recover from their loss, and send a message to those the fraud victim deals with that they will not let breaches of trust go unpunished. By ‘retribution’, we mean such legal remedies as Declarations and punitive damages. Often in business and employment contexts, retribution takes the form of a ‘Declaration’ wherein a Court declares the conduct as wrongful. This may be important to an employer who wishes to circulate the judgment to its employees to convey the message that fraudulent conduct will not be tolerated in the workplace. Court issued Declarations may be important to a business leader who wishes to give notice to those he or she does business with that if they engage in fraudulent conduct, their reputation will be diminished. Declarations that the judgment survives bankruptcy is also important to fraud victims so that they can rest assured their judgment will hang around the fraudster’s neck until it is paid or death, and that the fraudster will not be ‘set free’ by assigning him or herself into bankruptcy. By ‘discovery’, we mean providing the fraud victim with an explanation of what happened to their money and who was involved. Fraud victims and their supporters often want to know how it was that they were bamboozled out of their funds. Psychological recovery from the devastating impact of breach of trust is often expedited by understanding how their trust was breached. This often involves the legal concepts of ‘tracing’ and ‘accounting’. Of course, discovery often should not be the sole objective but rather a by-product of the recovery process and the retribution objective. In addition to the courts, fraud victims sometimes consider ‘self-help’ or vigilante justice in some form. We obviously can not comment on this form of justice here, other than to say that those who engage in it run a significant risk of facing criminal and / or civil prosecution themselves. Spending money on counsel to defend vigilante recovery efforts may be another example of throwing good money after bad. Like most areas of law in the modern era, fraud recovery law is an area of expertise that should be engaged in by lawyers with experience and education in dealing with such cases. As matters stand in Canada today, no formalized association of lawyers who deal with fraud cases exists, although fraud associations comprised of lawyers, accountants and investigators such as the Association of Certified Forensic Investigators and the Association of Certified Fraud Examiners provide professional training and networking. International associations of fraud recovery lawyers, such as FraudNet , provide a vetted list of member law firms and lawyers whose practices focus on fraud recovery. In Canada there are various national and full-service firms which have ‘fraud law groups’ within their firms. The lawyers who make up these fraud law groups obviously have the expertise and experience that any victim of fraud would seek. The downside to retaining national firms, however, is the quantum of their hourly rates due to their significant overhead and the number of lawyers and support staff often assigned to a file. This sometimes can result in duplication of hours on a task. And as national firms usually have significant client lists and overhead, there is little incentive for them to negotiate creative and flexible risk-sharing retainers. As an alternative to national firms there are lawyers who operate in litigation boutiques and sole practitioners. The law practices of some litigation boutiques focus solely on fraud recovery. Other litigation boutiques have general commercial and civil litigation practices with specific lawyers who focus on fraud recovery cases. Identifying lawyers in general civil litigation boutiques whose practices focus on fraud litigation requires some effort to research. However, the research may be very worthwhile as the savings of lawyers operating in lower cost firms may be passed onto the client. Further, boutique litigation firms and sole practitioners may be more amenable to discussing creative and flexible risk sharing approaches to fund fraud recovery litigation. The traditional fee-for-service retainers place all the risk of the litigation and recovery on the fraud victim by charging fees, often on a monthly or event basis, with no guarantee of recovery. It is often the hope of fraud victims that by issuing a claim and bringing urgent motions the fraudster will simply capitulate and return their money. However, sometimes the fraudster engages in a war of attrition, using the fraud victims own money to fund their defence to the litigation. And sometimes the result is legal invoices to the fraud victim that exceed the value of, or the recovery from, the litigation. That said, this traditional form of retainer is often appropriate when there is no incentive for the lawyer to share the risk with the fraud victim in recovery due to the high-risk nature of the litigation and/or due to the fraud victim’s own conduct in entering into the transaction that resulted in the loss. Blended fee-for-service retainers share the risk of the litigation and recovery between the fraud victim and the lawyer. In these forms of retainers, the lawyer works for a percentage of his or her hourly rates (for example 50%) plus payment of the lawyer’s disbursements. The other 50% of the lawyer’s fees are paid from or negotiated from the recovery. These forms of success-based retainers and are sometimes sought by institutional clients and experienced litigants who provide lawyers with high volumes of litigation and with whom the lawyers are comfortable that they will get fairly paid. Deferred fee-for-service retainers place the risk of recovery on the lawyer. In other words, the lawyer is only paid as a first charge against any funds that are recovered, and any excess recovery goes to the fraud victim. Various conditions, of course, can be placed on such retainers, such as the client pays for the disbursements, the client pays any adverse cost awards and/or the lawyer has full settlement and litigation strategy authority for the case. The client will also have to undertake to cooperate with the litigation process. These forms of retainers are often only appropriate in cases where the fraud victim cannot afford to litigate and would otherwise write-off their loss. Contingency retainers are often used in the personal injury cases where lawyers can recover from an insurance company or other financially viable debtor who understands their obligation to pay if a finding of liability is made. In personal injury cases, a lawyer’s fees are often calculated at approximately 30% of the recovery, plus disbursements. Contingency retainers are often not appropriate in fraud recovery cases because the amounts in issue are not sufficient enough to provide the lawyer with incentive. For example, if the fraud is valued at $250,000 and the legal fees to recover are projected at $250,000, there is little incentive for a lawyer to engage in a recovery of this nature. On the other hand, if the quantum of the fraud is significantly higher, and there are third party professionals from who the recovery can be made, there may be sufficient incentive for a lawyer to enter into a contingency retainer. the client’s expectation of the quantum of the fee. For further information, reference Re Cohen ats Kealey and Blaney (1998), 26 CPC (2nd) 211 (CA). In applying these factors a court often will consider the degree of risk the lawyer takes on for their client in providing them access to justice. From the foregoing, it should be apparent that fraud victims should research the legal market place for the most appropriate lawyer for their case and discuss the terms and nature of their retainer immediately upon the discovery of their loss. 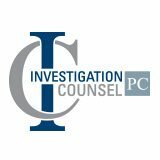 For further information on the appropriate type of retainer for your fraud loss, contact us at www.investigationcounsel.com.